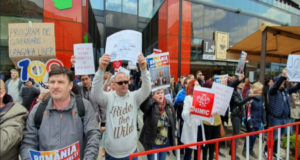 The representatives of the USR-PLUS Alliance 2020 have announced on Thursday that they will sue two local branches of the Romanian Post, in Giurgiu and Tulcea, because they had refused to distribute their electoral flyers. USR-PLUS argue that the two post office subsidiaries had distributed the campaign newspapers of the ruling Social Democrat Party, but it refused to also distribute the USR-PLUS flyers, on the ground they contained “a call to go to polls on May 26” and therefore represents “electoral propaganda”. The Alliance 2020 argues that law 334/2006 is clearly saying which are the conditions to be met cumulatively so that a document should be considered electoral propaganda. The presence of the word “vote” or any other call to vote with a certain electoral contender is not a standard based on which one can establish that a document is electoral propaganda or not, the Alliance further says. “The Romanian Post is acting in a discretionary basis although it is a state institution, and all parties should enjoy equal treatment and services during the electoral period. We are against the wall due to the political orders sent int he territory from Bucharest. We refuse this abuse, so, we’ll sue the Romanian Post. 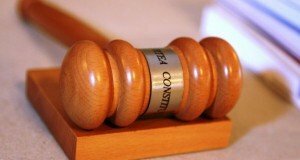 The law is on our side!”, says the USR campaign’s coordinator in a press release. “The PSD newspaper distributed to pensioners by the Post is a propaganda scrap paper of the lowest order and the USR-PLUS Alliance 2020 is banned from distributing flyers. It is not just a double standard issue, but a symptom of the times we re are living when PSD has seized control of the majority of the state institutions. This is unacceptable for us,” said in his turn Vlad Voiculescu, the coordinator of PLUS campaign. Ten days ago Liberals announced they will sue the Social Democrat Party (PSD) for concluding a protocol with the state-owned Romanian Post through which the ruling party is distributing PSD electoral flyers to the pensioners. 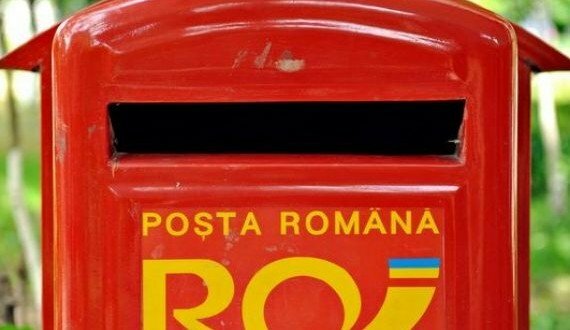 The Romanian Post confirmed about two weeks ago that it cashed in RON 925,000 from PSD, based on a paid trade contract, to distribute promotional material of the Social Democrats. Yet, the Romanian Post claims that it conducts this activity as “the any other post office services”, while rejecting “any accusation of partisan politics”.